Roll out the King's Guard Artillery, aim and prepare to fire the awesome six-stud shooter cannon at the advancing Stone stomper. Push out swords for defense mode, or detach them for close combat action! 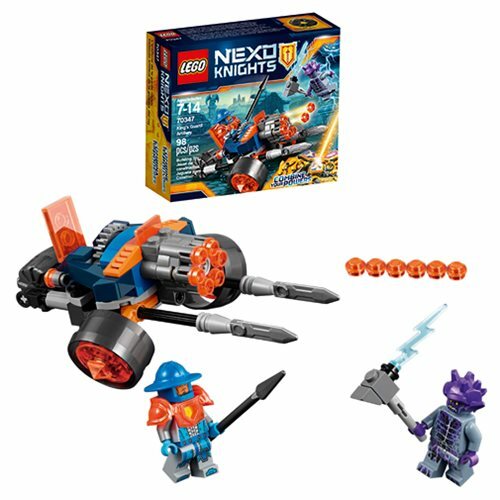 The LEGO Nexo Knights 70347 King's Guard Artillery includes 98 pieces. Ages 7-14.